Police are searching for a 12-year-old girl they say was abducted from a Washington-area airport. 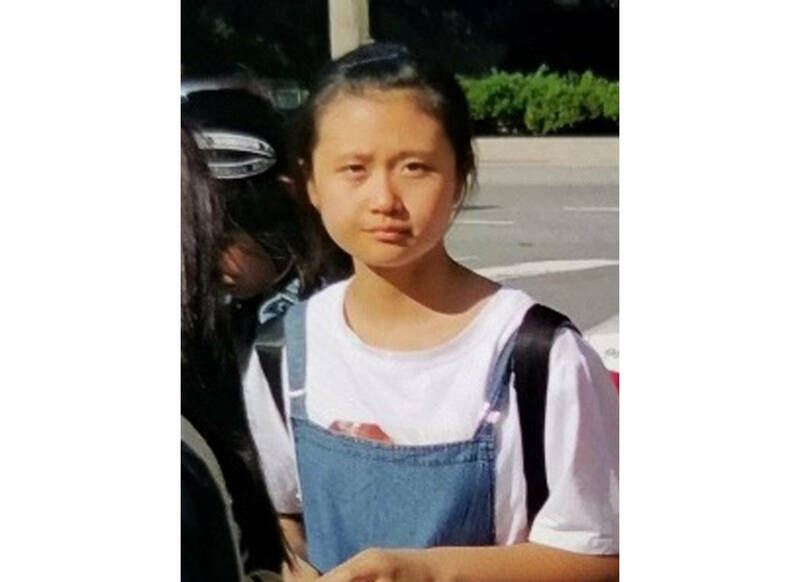 ARLINGTON, Va. — Police are searching for a 12-year-old girl they say was abducted from a Washington-area airport. Police say JinJing is about 4 feet, 11 inches tall (1.5 meters) and weighs about 90 pounds (41 kilograms). She is Asian and has black hair and brown eyes. The Metropolitan Washington Airports Authority said she was last seen wearing a white tee shirt, blue jeans and a black jacket. The woman they say abducted her is described as Asian, about 40 years old with black hair. They say she was wearing a black dress.